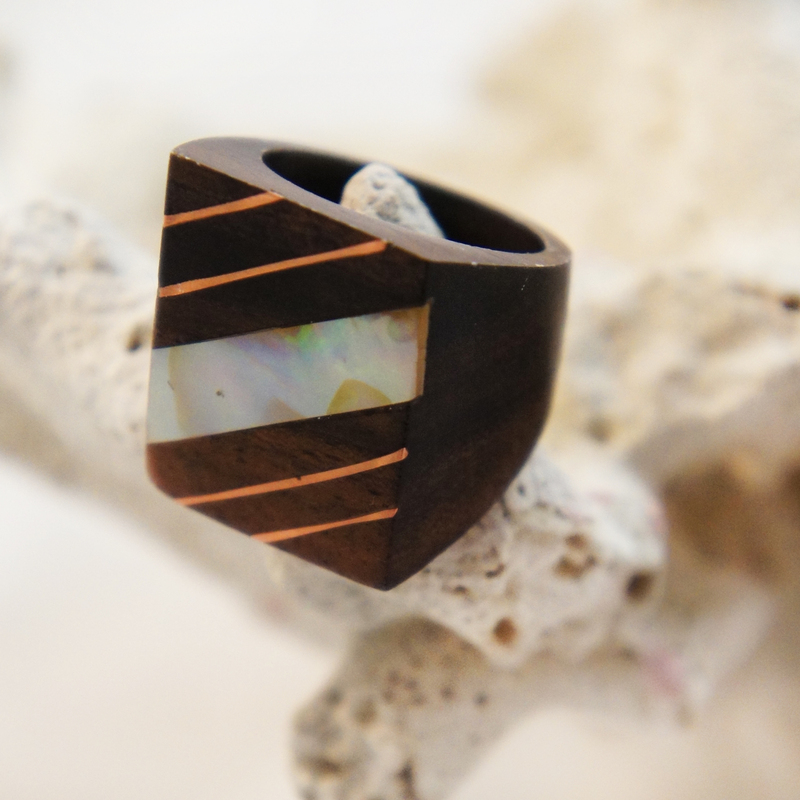 This square chunky sono wood ring has a striped metal and shell inlay. 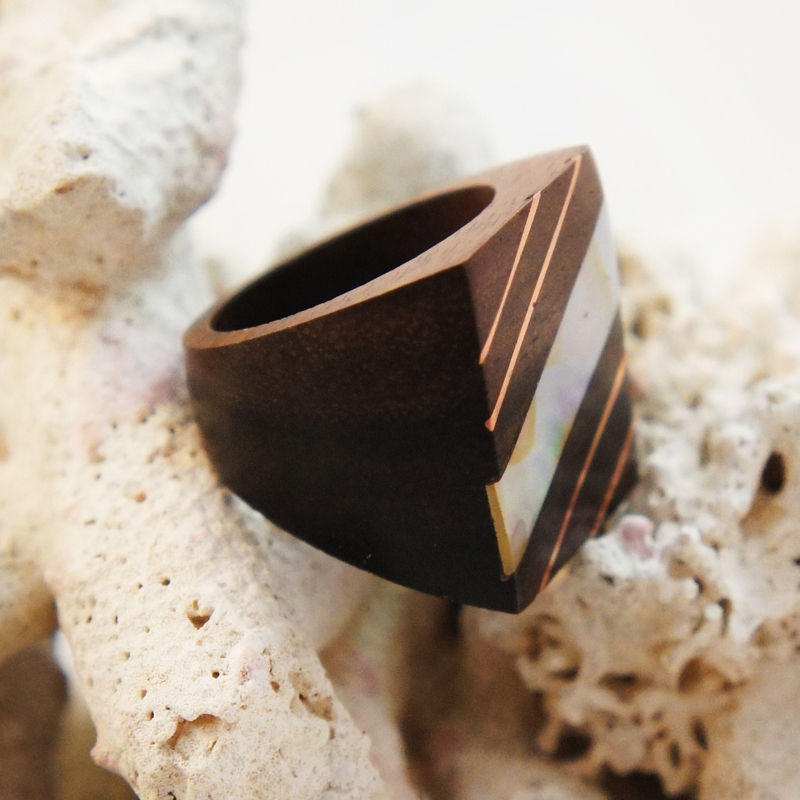 You can truly appreciate the natural variety of wood grain and texture with this ring. 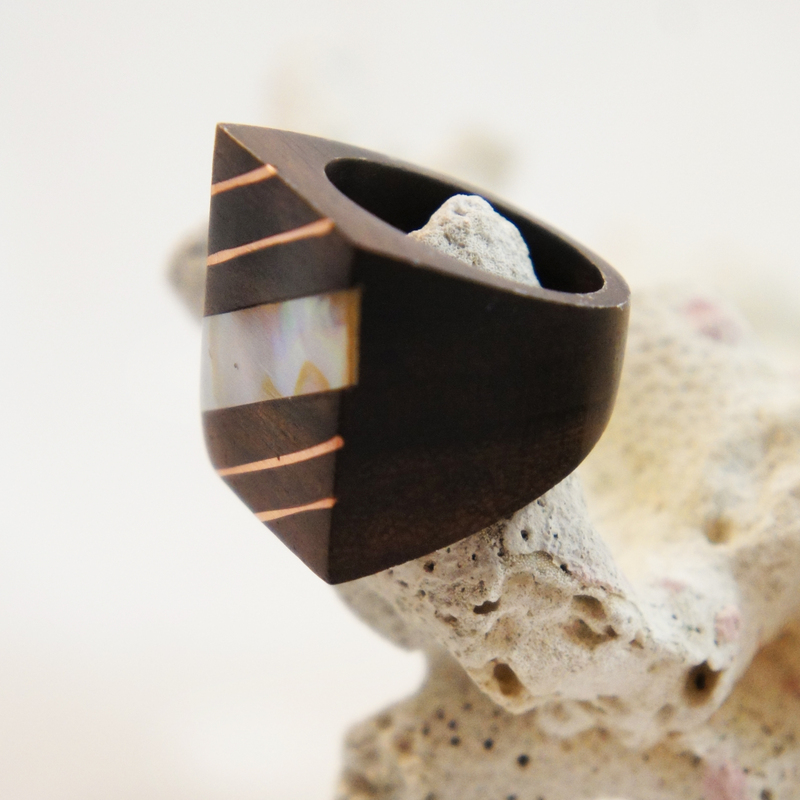 It's striped and graduated qualities enhance the overall geometric design to create something stylish yet simple.